Hehehe! I posted this on my FB a few days ago. It was a hit. 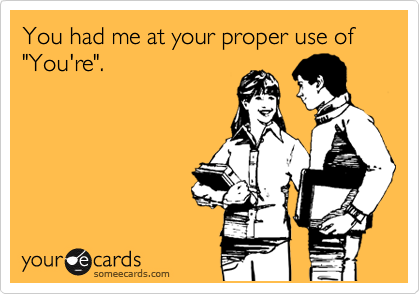 Drives me NUTS when people confuse your and you’re. LOL!